A twice-delayed national jirga led by Afghan President Hamid Karzai is set to begin on 2 June, drawing some 1,600 Afghans to Kabul to discuss reconciling with Taliban extremists and other insurgent groups. The so-called "peace jirga" will include a wide range of representatives in Afghanistan's complex power structure. Among them: lawmakers, provincial council chiefs, tribal and religious leaders, and selected members of civil society. Very simply, a jirga - the Pashto word for "assembly"- is a centuries old tradition in Afghanistan. It is a consultative council of tribal elders who are tasked with resolving local or provincial tribal disputes. A jirga decision on a case involving neighbors or petty crime is enforced. However, other jirgas are merely forums for discussion of other tribal issues. These "grand" assemblies do not occur very often in Afghanistan. They reserved for more serious and weighty matters, like choosing a national leader or writing a constitution. The results of a loya jirga are binding and are enforced under the laws of Afghanistan. 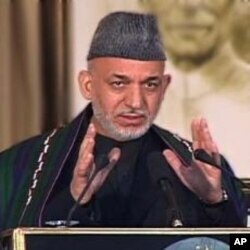 Whom should President Hamid Karzai's government talk to with regard to the Taliban? Because, of course, this jirga is bringing together all these different people around the country to create a unified front to approach the Taliban for reconciliation talks. Where should these proposed talks with militants be held? There have been reports of unofficial talks between Afghan government representatives and representatives of the Taliban outside of Afghanistan, and so they're Going to, in Karzai's jirga, these delegates are going to determine whether or not they should have these talks in the country or elsewhere. Who will talk on behalf of the Afghan government or on behalf of Afghans in general? 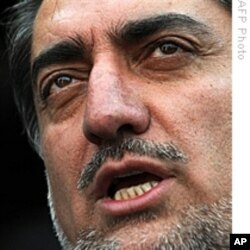 And who will represent the interests of the current Afghanistan in these talks with the Taliban?" Is there opposition to the 2 June jirga? "There has been significant criticism, mainly on behalf of President Karzai's former rival in the presidential election, Dr. Abdullah Abdullah. In fact, he says that he will not be participating nor will any of his allies be participating in this jirga, mainly because he says he was not invited. So, you have that criticism that this is sort of a gang of warlords getting together, people who are already sympathetic to the Karzai government, a lot of people who are part of some of the behind the scenes dealings." What role will women have in the jirga? "During President Karzai's (recent) visit to the United States and the lead up to this peace jirga, Mr. Karzai ran into some criticism from U.S. lawmakers and from some other officials about the role of women in this peace jirga. And after those comments, President Karzai increased the number of women that will be participating in this jirga to about 20 percent. This is seen in many circles as a goodwill gesture on behalf of President Karzai, leading up to this major event."